Dr. Tanya Riddle is a board-certified dermatologist and dermatopathologist from Texas. She received high honors at the University of Texas at Austin for her undergraduate B.S. degree in Biochemistry. She went on to complete her medical degree and internal medicine internship at The University of Texas Health Science Center at Houston. 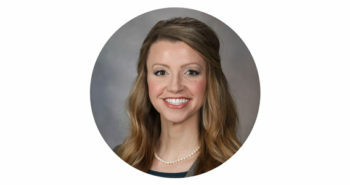 She then completed a dermatology residency at University of Texas Medical Branch where she served as Chief Resident during her final year of residency. Following residency, she completed a dermatopathology fellowship at the Mayo Clinic in Rochester, Minnesota. Dr. Riddle has an interest in medical, surgical, cosmetic and pathological care for patients of all ages. She truly loves her profession, and her charismatic bedside manner is great evidence of that. She continually strives to provide her patients with the highest level of expertise while treating them with the same respect and care she would want for her own family members. She is an active member of the American Academy of Dermatology, American Society of Dermatopathology and International Society of Dermatopathology. In her free time, she enjoys experimenting in the kitchen, dancing to live music with her husband and exploring new hiking trails. If you are interested in scheduling a consultation with Dr. Tanya Riddle, please contact us at 303-761-7797. Our practice serves Englewood, Lakewood, Castle Rock, and surrounding areas in Colorado.